We all know the benefits of planning ahead and mapping out a course for success. When you have set your sights on a goal, it is important to chart out a plan and break it down into manageable steps. 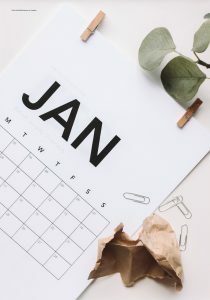 With the new year fresh upon us, let’s prepare a monthly guide to make 2019 the most productive year yet. Since this month begins our journey, let’s start out by creating a journal where we can set out our plans and chart our progress. I am the type of person who likes to write with a pen and paper, so I purchased a colorful notebook that I love and will want to open up and write in. Others prefer using an app, such as Day One, which is a free app for basic IOS and Android, where you ca n list short-term goals, track your accomplishments and also note feedback received. Having a journal is one thing, but remembering to update it is another. It is crucial to update your journal ideally once a day, but realistically once per week. I have been known to save ideas or feedback I have received during my work day on sticky pad notes or in my cell phone notes and transcribe them into my journal in the evening at home. The more you read and review your goals and areas of improvement, the more likely you are to continue to pursue them. This journal also becomes helpful as a source of information to review and utilize when you are planning a meeting or asking for a raise. Devoting time to networking is crucial to keeping yourself out there and possibly leading to new opportunities. This month, take time to send out emails, text or use other social media messaging to touch base with people in your network. In addition, send messages out to people you haven’t spoken with in some time, such as a former colleague or someone you met at a holiday party last December and really clicked with. You never know who can end up being a valuable networking asset or mentor. It is also a great time to look into joining a professional organization or association in your field. Many of these organizations are just starting to meet again after the holidays. Also, start researching upcoming conferences for the year in your field, decide ones you might want to go to, register to attend, and make inquiries regarding company reimbursement requirements. March is the month to make sure all your finances are in order and that you have all the documents you need for filing your income taxes. April 15th will be here soon. If you already know you will be getting a decent refund check, take half to pay off debt such as credit cards, unpaid bills and college loans. Put the other half into savings, college or retirement funds. 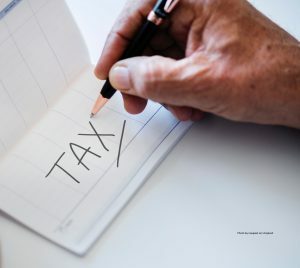 If you have received a raise in pay for 2 019, put the extra money into your 401K or pension, especially if you are receiving a company match. It is also time to review your budget to see where money is leaking and how to improve your finances. Maybe it is time to cut back on gourmet coffee out in the morning or ditch the smoking habit, and put the money you would have spent each day into a vacation fund. You will be surprised how it adds up. Spring is almost here, and with it comes spring cleaning time for your home. It is also a good time to organize your desk space. First, review your seating and computer monitor for the best ergonomic positioning. Your work surface should be slightly below elbow height when seated or standing. Your computer monitor should be centered with the mid-line of your body. Keep the backrest of your office chair tense enough to support your weight. Now take a look at your work space and declutter. Only keep things that you use frequently on top of your desk. Set up an in-and-out tray and keep it organized. If it is overflowing, it will definitely affect your attitude and ruin the feng shui by destroying the harmony of your environment. If possible, add a plant to your office to bring something fresh and alive into the space. Some artwork on the wall and a photo of your loved ones will personalize your space and bring you joy. If you haven’t done so already, now is the time to make sure your vacation plans are intact. Figure out how many vacation days you still have available and plan to use them. Look into flights and hotels, especially during holiday times. The U.S. Travel Association says that 52% of Americans leave unused vacation time on the table. We are all busy, but downtime away from work is vital to our psyche as well as affording an opportunity to think about where you are and where you want to be without the pressures of the daily grind. Employees should be valued for their accomplishments, not perfect attendance. Team building can improve morale and help guide employees toward their goal. If you are a manager, sit down with your people and ask them for feedback and ideas besides current work projects. If you are an employee, ask your manager out to lunch to discuss any ideas you have or areas of concern. This month is the perfect time for that employee picnic to get people together and help build relationships with each other. We are now halfway through the year and it is time to review your career journal thus far and assess what you have done to get you closer to your goals. If you don’t see the progress you hoped for, use this time to restructure and create new, more realistic goals. Sometimes, by breaking things down into baby steps, we can accomplish more. You also may realize that your goal has changed since January due to other events that have taken place and you need to reset your goals for the next six months. August is often a time when we see a summer slowdown at work. Many people are out of town. Why not take this opportunity to volunteer or set up a work program in the office. This will not only help you feel fulfilled by helping and giving back, but it can also let your boss see other skills you possess. 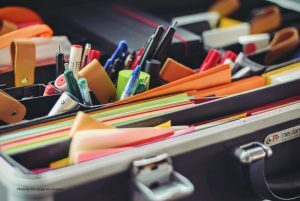 For example, setting up an office recycling program will not only help the environment but will also let your boss see your organizational and leadership skills. Now that summer is over and it is “back to school” season, it is a good time to think about some skills you might like to learn. Perhaps take a public speaking course, an online college course to work towards a degree or even just take a course in something you are interested in. It may spur some creativity and could also make you think about some other career interests. A yoga or Pilates class will improve your health and give you some alone time to focus on you. The open enrollment periods for health insurance plans and some other types of coverage usually run from November 1st through December 15th. Now is the time to figure out your potential healthcare needs for 2020. You might need a plan with a lower or higher deductible or you might find it would be beneficial to open an health savings account (HAS) or a flexible savings account (FSA) if you have a high-deductible health plan and/or if it is offered by your employer. This is a tax-advantaged medical savings account where funds contributed are not subject to federal income tax at the time of deposit. Research the different plans to see if it would be beneficial to you. Mentoring is a win-win situation. You are able to tap into a younger person’s perspective and pay it forward by helping them with their future. They, in turn, receive the benefit of your experience and wisdom, as well as creating a contact and friend to go to when they need direction. Check to see if your company offers a mentoring program or look to industry organizations or community groups. This month is usually incredibly busy with holiday parties, travel and family events. When you find a small block of down time, take a look at your resume, your online portfolio and LinkedIn profile. Update any major accomplishments that occurred this year, add in any published items you have had or any career-related certifications or courses you have completed. If you have changed positions this year, make sure to update that information. This way, should you decide to make a job change in 2020, it won’t be a huge scramble to update your personal documents. By New Year’s Eve, you should feel empowered by your efforts to keep on top of your career and personal goals and be ready to start fresh on January 1st.